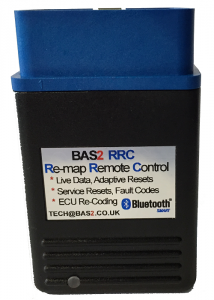 Defender 2.2TDCi ECU Programming & Tuning – BAS Remaps, Powering the Landrover tuning world! All information should be read and understood correctly before making programming to a new or existing ECU. Should you have any quires please do not hesitate to contact us directly for help, see bottom Right of the page for LIVE CHAT or email us on the tech email address seen in the help section. Defender 2.2 ECU Programming can be done in two different ways depending if the ECU is new or used. Please read all provided information and watch the provided help videos. Part 1 is ONLY needed when installing new remap or swapping between tunes. Parts 1 to 3 MUST be used when fitting new or exchange ECU’s. you can use this to make the car original power level again and time you wish. When fitting a new ECU you need to program the main calibration shown in part 1, then move onto part 2 security coding and injector programming to complete the new installation..
Part 2 is NOT used again when just swapping tunes on an already fitted and working tuned ecu. After you have completed programming of both parts 1 and parts 2 as part of your ECU fitting process its time to clear and reset all adaptations within the new ecu. Part 3 is NOT used again when just swapping tunes on an already fitted and working tuned ecu. Cars that do not have a factory DPF fitted DO NOT need the two reset options shown. NOTE: The text shown in the application videos above may vary slightly due to app updates and minor aesthetic changes made within the app.